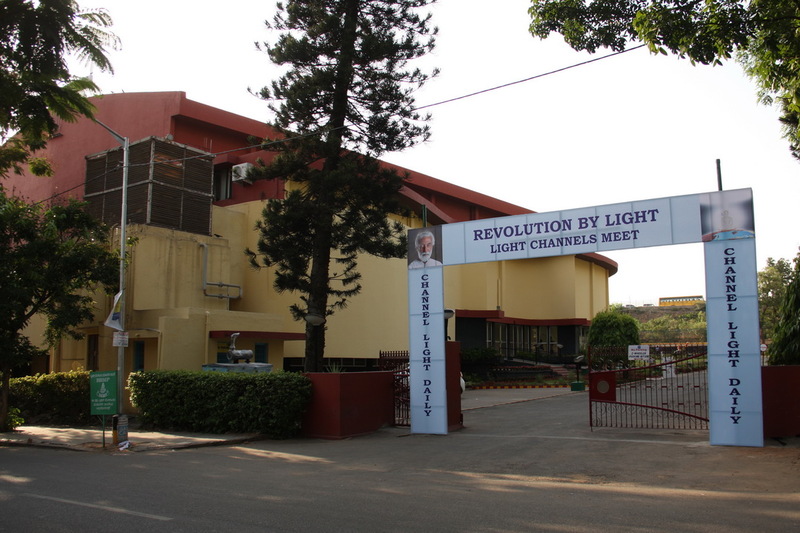 Guruji introduced Light Channelling in 2008 and since then we, the Meditators have been channelling Light. Then in 2009 it was introduced to school children. More than 2 million children have channelled Light since then. Guruji has also been speaking in the classes about the Spiritual importance of 2012 events and a great Revolution in Consciousness. All this knowledge and awareness have to be spread to the whole world. And May 7th event was the launch pad towards this effort; to spread this great and last Revolution by Light. The preparation for this event began well in advance in February. While the volunteers worked at the physical level under Guruji's guidance, Guruji worked at the Astral level inviting many Astral Masters to bless this event. After a phase of thorough planning, began the phase of impeccable execution. 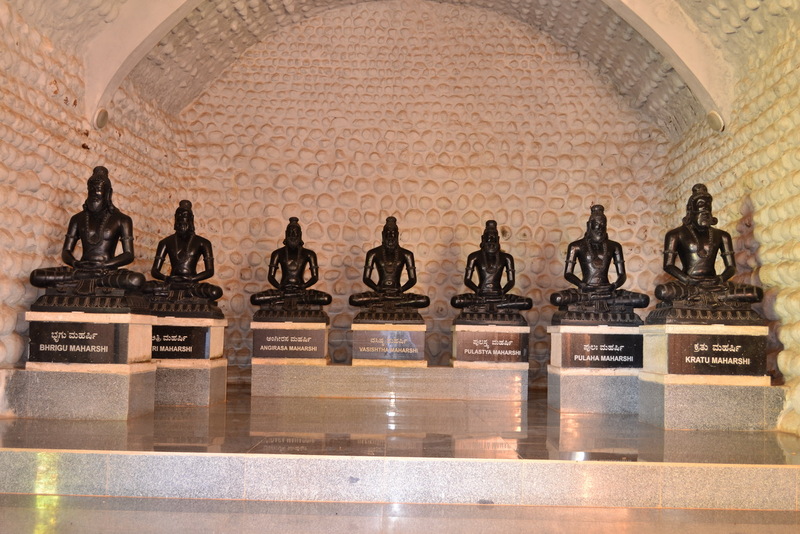 The Volunteers' Love, dedication and hard work and the grace of the Rishis made the event a grand success. Help from Light was experienced at every stage of execution. Close to one thousand people had gathered at the Chowdiah Memorial Hall. Masters from Shambala and many other Masters were present astrally. Message from the Rishis was delivered by Guruji with great clarity, simplicity and humility as thousands of people watched the Live Webcast of this program all over the world. When Light Channelling began at 7.45 pm, the entire hall was filled with Divine silence as a great Energy brought down on Buddha Purnima was channelled to the whole world. Lakhs joined in this channelling of Light, at the same time, from different places in the world. After channelling for 15 minutes, the Light Channel Volunteers were honoured by Guruji by gifting them a memento of Light Channels. Many of them were overwhelmed with gratitude and many expressed that this was a life fulfilling moment for them. The event gave people the Light of Hope and an Assurance from the Rishis of a glorious future; of a not very distant New Age. My fellow human beings, this is a very important day in my life. I am an ordinary man but today I carry a very important message from the Rishis. This message is meant for everyone on this earth. It is a message of Hope. It is a message of Assurance. Most of the events expected to occur at the end of 2012 will occur. But let no one panic. The world will not end. The destruction feared to be associated with these events can be prevented. This is the most important part of the message. This destruction is related to the Spiritual Transformation of people. What is Spirituality ? Spirituality is just being good, honest and peaceful. We do not have to go to temples. We do not have to go on pilgrimages. This is the essence of Spirituality. This definition comes from the Masters who bring all knowledge from higher realms. One may ask, why is destruction related to the Spiritualisation. The most important fact is that we are entering into a new time frame, a New Age. In the New Age, this goodness, honesty and peace are the minimum conditions to live and exist. People who do not choose to be peaceful and loving cannot survive. The New Age is not far away. It begins from end of 2012. By the end of 2012 all the people will not become saints. The Rishis say, "You don't have to completely transform. But you have to choose. Choose to be good, that is enough." Choosing qualifies us to enter into the New Age. Once many people choose, the Rishis who control the destruction will have enough reason and justification to totally avoid or minimise the destruction part. The Revolution by Light is for Transformation. It is for preparation. It is to help us choose. It is a silent effort to bring about great changes all over the earth, taking the help of Light. This message is for the entire humanity. All imperfect systems will collapse. They may collapse suddenly or gradually. Personally I feel the collapse will be sudden. When the systems collapse, naturally there will be chaos and confusion. But the Rishis say - do not worry. They have plans. They will help. They have seen these events many times. It is not the first time we are entering the Photon Belt. When imperfect systems collapse, new systems come into existence. This may happen immediately or gradually. The decision in this regard is not taken, yet. Every individual on this earth will be contacted directly. I feel so happy to repeat this. Rishis are such kind and loving people. Even those who do not change, will be taken care of with Great Love. It is not that they will be abandoned and punished. In the kingdom of God there is no punishment. Everyone is given another opportunity. A million times we fail, one more opportunity is given. The kingdom of God is full of Love. All hidden faculties, the 3rd eye, our capacity to communicate telepathically, living on Prana etc. will open up. When the systems collapse, we may not have food. Then we may be given the gift of living on Prana. Suddenly all people will be contacted and helped. Yesterday, during Buddha Purnima, a special energy was released. When we channel Light, even this energy will be channelled. After channelling today, please do not stop channelling. Channel everyday for a minimum period of 7 minutes. I do not know whether I have carried the message properly or not. But the Light in you, I am sure, It has captured the message in its purity and entirety from the Light Masters. I feel this is the most fortunate moment in my life to be the messenger of the Great Rishis. This is a recording of the speech given by Guruji Krishnananda during the Light Channels Meet on May 7th 2012. It contains the message given by the Light Masters, and is meant for all citizens of this world. I am so happy and fortunate that I was able to watch the webcast live. What a kind, gentle and peaceful man Guruji Krishnananda is ! His message is so important in these times of wars, hatred between countries, hatred between religions and an uneasiness and uncertainty of life as we know it. Coming from a Roman Catholic background, I never once felt that I must give up my beliefs to be part of this powerful worldwide Revolution by Light. And I am sure there were many others from different religions, listening and watching the webcast. Never did Guruji Krishnananda bring religious ideologies into his talk. We all can live by our own conscience and still practise the simple Meditation technique to send positive Light energy (God) throughout the Universe. That was such a beautiful Event ! I have been so fortunate too, to have been able to participate in the event from USA. Thank you so much for making it possible for everyone to participate no matter where we were in the world! I did not remind myself in any way of the event, but was guided by the Divine at the exact time, as it was beginning. It was a wonderful experience! I will continue channelling Light everyday on my own for the benefit of all humanity. I feel very fortunate to have been able to tune in and listen to Guruji's message with you all, during this time of global Spiritual transformation. His message was very important and inspiring and I for one will be calling upon the Rishis to help if need be. I did not know this group until now. I knew that there are Light workers dispersed all over the world. I was glad to be connected with you, heart to heart. Revolution by Light event was one of the greatest events in my life. Your speech was very inspiring and just perfect. Some of my colleagues and friends who attended and watched the webcast told that it was very good and inspiring. I am grateful to you for giving such a lovely opportunity by allowing us to participate in the Revolution by Light event. It was a grand success as all my family members along with many friends and known persons channelled Light. Thanks to the webcast team. I felt as if I was there. With tears in my eyes I can only say, "Thank you Guruji and Rishis. Now my life is complete !" Exactly at 7.45 PM in Melbourne, Australia, we participated in the Movement by channelling Light for 15 minutes. Never before in our lives 15 minutes passed so quickly ! How to express gratitude for the expression and manifestation of Light's Love ? I feel so humble in realising that I may be part of It. There is deepening of the commitment to Light. I am grateful that you wished to share the importance of this day. The webcast came in clear the whole time, even in Arizona, USA. Your message was significant and easy to understand. I have a group meditating tonight and know of other groups, so this is a good start of the Revolution. I honour you for your selfless service to the Light. It feels so refreshing after channelling Light with millions. Thank you Guruji for this contentment. It was so refreshing channelling in mass. I felt vibrations of Light in each of my cells.